The transportation sector is the single largest contributor to our region's carbon emissions. With the Karl Knapp GoEV Program, Acterra is helping accelerate the shift from fossil fuels to a renewable energy economy by providing local citizens with hands-on opportunities to experience the benefits of electric vehicles. Through peer-to-peer outreach and educational workshops, Acterra dispels misconceptions about driving electric and raises awareness that there is an EV to suit every budget. Donate to the Karl Knapp GoEV Program and receive a k2 GoEV t-shirt! Acterra is hosting informational workshops that will introduce the many benefits of “going EV” and will cover the basics of charging, leasing vs. buying, government rebates and other incentives, and second-hand purchase options. Come learn about the latest makes and models and see what’s in store for the future! At this free event, electric vehicles will be on display in the parking lot. Presentation and Q & A session will follow. Find out how fun and easy it can be to “go EV”! Browse the full slate of upcoming events on the Karl Knapp Events Calendar. Karl Knapp was a longtime Stanford professor, renewable energy expert, and Earth champion. For many years, Karl promoted the merits of electric vehicles to his students and colleagues through his Understanding Energy course and hands-on EV events at Stanford University. Acterra launched the Karl Knapp GoEV Program on September 16, 2018 in honor of this important local leader in the EV movement. 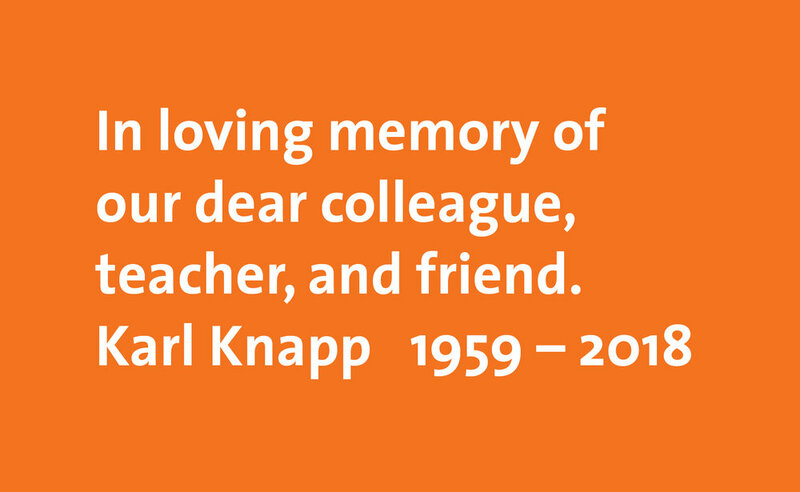 Karl passed away on October 23, but his vision for a clean energy future lives on. For questions about the Karl Knapp GoEV Program, please contact Ariane Erickson at arianee@acterra.org. We harnessed momentum from the Global Climate Action Summit and provided over 500 test drives to the local community at our September 16 Ride & Drive Event! Acterra's 3rd annual National Drive Electric Week Ride & Drive outreach event was a success, thanks to many folks who donated their vehicles and credibility as owners, our staff of volunteers who helped with logistics, and our generous partners and sponsors, without whom this event could not have taken place. In all, EV Ambassadors and local dealers provided 50 vehicles, representing 15 makes and models, for viewing and test driving. The 2018 Ride & Drive was the biggest NDEW event Acterra has ever hosted, adding more momentum toward the goal of increased deployment of EVs as alternatives to gas-powered vehicles. It seemed particularly fitting that our event closed out an intense week of climate action news, from the signing of the statewide 100% clean electricity bill (SB 100) to the hundreds of climate commitments made at the local level. We are confident that many of the event attendees increased their willingness to consider an electric vehicle for their next car purchase, and we hope to see many new EVs on Bay Area roads as a result of this event! Karl Knapp bought one of the first City-Els in the US in 1999, a 3-wheeled EV designed and manufactured in Denmark. His City-El can be seen along with other historic EVs at the Route 66 Electric Vehicle Museum in Kingman, Arizona. Also on September 16, Acterra hosted a special reception in honor of Karl Knapp, a longtime Stanford professor and EV advocate to mark the official re-launch of our EV program in his name. Attendees learned about the exciting activities in store for the coming year while photographing and videotaping congratulatory messages to Karl, who has ALS and was not able to attend. Are you ready to electrify your ride? We’ll show you how! In this workshop, you’ll gain the knowledge and tools needed to confidently purchase an electric vehicle for your next car. Topics include: the benefits of EVs versus gas-powered cars, government rebates for "going EV," charging basics and battery range, leasing versus buying, current makes/models available, and what's in store for the future – all rolled into one action-packed 40 minute webinar! Click here for the pdf version. Also available: bilingual PDF version. Bay Area Businesses: Do you want to promote the benefits of EVs to your employees? Increase awareness/use of your EVSEs? Pursue commute or fuel related LEED credits? We can help! Acterra's workshops and ride & drive events can help promote visibility, interest, and adoption of EVs at your workplace. Contact arianee@acterra.org for more information on our turn-key employee engagement opportunities that will motivate your employees to "Go EV"! New EV Owners: we want to know how much you love your car! Please email us a photo of you and your new EV, and let us know if/how Acterra's GoEV program helped you get your EV grin! Are you interested in “going EV,” but need a little encouragement before taking the plunge? We can help! Sign-up for a free consultation with an Acterra EV Ambassador. Your Ambassador will answer your questions, provide information about specific makes/models, charging options, and leasing vs buying, and share their owner experiences. Consultations take place via phone or in person if you would like to take an EV test ride/drive. Acterra is utilizing its signature "grass-roots" approach by convening a group of EV proponents to educate community members about the benefits of electric vehicles. EV Ambassadors answer questions and provide encouragement to prospective owners, give EV test rides/drives, and participate in Acterra's EV-related events and activities. Interested in becoming an Ambassador? Sign up here! Acterra is conducting two-hour workshops throughout the year which provide consumers with information about the benefits and how-to's of EV ownership.